Hi Brenda! Welcome back to Girl Who Reads. 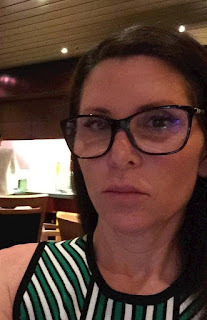 While you aren't a stranger here (see Brenda's past appearances), please tell us a little about yourself and what you have been up to. Thank you for your ongoing kindness and generosity. Girl Who Reads is a wonderful website and asset to all authors. I am a California girl who got bit by the writing bug pretty late in life. It wasn’t until I was in my forties that I decided to put my real-life drama into book form while my life was spiraling out of control. I was going through a gruesome divorce and I do believe it was writing that was my saving grace. Without that, I might have gone bonkers or at the very least needed extensive therapy. Now, things have settled down and I have managed to publish three novels, two short stories with one on the way. It’s almost like giving birth. Each one is exciting in its own way. I have had the luxury of writing about things that I am passionate about such as bullies and saving stray dogs. To me it’s a blessing and a true gift. Your newest book, L.A. Punk Rocker, hit the shelves last week. Your previous works have been fictionalize reality. Have you taken this same direction with L.A. Punk Rocker? Thank you, Donna. You have a good memory! In L.A. Punk Rocker none of my stories are fictionalized other than a few name changes to protect the identities of some of my friends. These are all personal accounts that date back to the eighties. My teenage years when I discovered punk rock music and got lost into the Hollywood scene. All of the other authors stories are from real life experience as well except for Mark Barry’s two pieces that he writes from Billy Idol’s perspective. It could be called “fan fiction” and he does a brilliant job of bringing the King Rocker to life. There is even a paranormal twist. Personally, I think he should take what he started and do a full length novel. I would pay fat to read that! You have written about your life some through your series Brooklyn and Bo Chronicles, did you find it more difficult writing L.A. Punk Rocker without having fictional characters to put somewhat of a barrier between you and the world? Actually, writing L.A. Punk Rocker was very much like writing Shattered Reality (Blossoming Press, 2014, Amazon) and Burnt Promises (Blossoming Press, 2014, Amazon) since they are all based on my true-life experience. Same thing with Alex the Mutt (Blossoming Press, 2014, Amazon), my short story about saving rescue dogs.The hardest book to write thus far has been Fractured Vows (Blossoming Press, 2014, Amazon), the third book in Brooklyn and Bo Chronicles because it’s all from Bo’s life experience, a male’s perspective and I had to do some ad-libbing. Since I am not a true fiction writer it felt sneaky putting words into my characters mouths. Though I have to say it was quite liberating at the same time. It sounds like your youth was a really wild time. What are some of the highlights from it that you share in L.A. Punk Rocker? This is a paragraph from a story titled ‘Vintage Punk’. It’s kind of fun to look back at some of the people I saw on the grungy streets of Hollywood. L.A. Punk Rocker is a collaborative work. While writing teams are becoming more popular, was it difficult to work with four other authors? I can imagine there were creative differences at times. How did you all manage to stay on the same page? Actually I wasn’t pining to write another book, but then U.K. author Mark Barry (who I don’t know personally) put the idea into my head. At first I told him he was crazy. Then I gave it some thought and suddenly I became inspired going back to this unusual time in my life. If it wasn’t for Mark I would have retired with Alex the Mutt. I also didn’t plan on asking other authors to contribute to L.A. Punk Rocker but as I started writing the stories I thought it would be fun to get a little more color. On Facebook I have been able to get reacquainted with many of my old friends and acquaintances from that time period and that was where I practically begged for stories. Haha. Most people who are not writers don’t think they can write when in actuality we all have it in us if we give it a try. Sadly, I didn’t receive as many stories as I would have liked but the ones that I did get fit perfectly. Besides L.A. Punk Rocker, what other projects are you working on? More than anything I want to spend my days doing things that inspire me. I do read a ton and when I have time I try to help other Indie authors in ways that I am able. There are no other books in the works unless a new passion hits me in the face. In the meantime, I am enjoying the day to day stuff with my boyfriend. Looking for the positives in a very tough world. I have been through some hard times and I am not taking ANYTHING, NOTHING, NADA for granted. We are here for a reason so we better make the most of it and contribute in positive ways. Even if it’s just walking a shelter dog. Everything counts! Thanks, Brenda, for chatting with me today. I hope L.A. Punk Rocker is a huge success. Thank you so much, Donna. I rather enjoyed this me me me time. I appreciate your great questions and you having me back. Warm wishes to you and to all the readers who have taken the time to read this interview. And of course I am grateful to all my friends who are by my side in this journey. This kind of support is the best! Special thanks to the contributors of L.A. 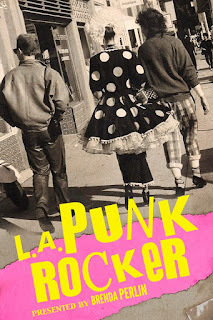 Punk Rocker, Mark Barry, Steven E. Metz, Deborah Hernandez-Runions, and Cindy Jimenez Mora who put themselves out there. Much gratitude to MAB and #mrword. Brenda Perlin is the author of several novels including The Brooklyn and Bo Chronicles. From memoirs to illustrated books, Brenda evokes passionate responses in her readers by using a provocatively unique writing style. Fractured Vows captures the soul-wrenching conflicts of a personal struggle for emotional fulfillment. Thank you so much for highlighting L.A. Punk Rocker. So loved the interview. It's been a blast going back to the past. Appreciate what you do! Great interview ladies. I enjoyed the journey back.